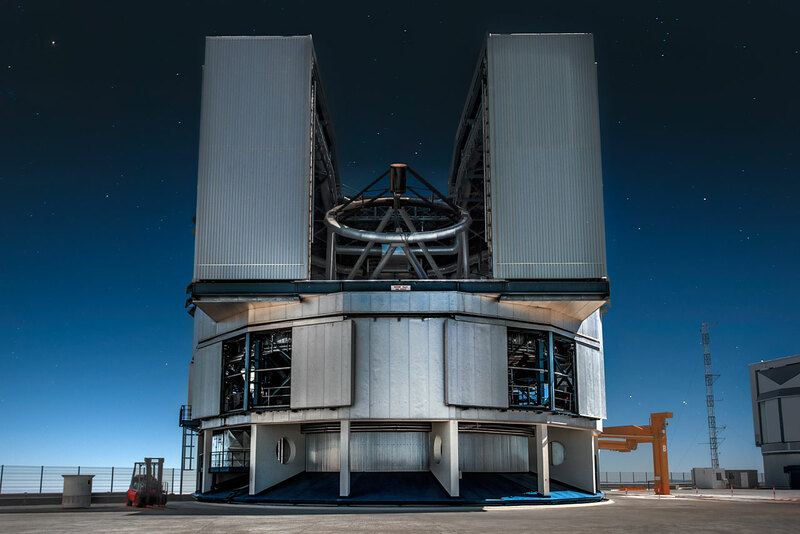 After years of planning, in 2014 ESO’s Very Large Telescope welcomed the planet-hunting SPHERE instrument. Ever since, SPHERE has enabled scientists to carry out ground-breaking astronomical research, including investigating how planetary systems are formed. But SPHERE experienced some teething problems from the very beginning. When experiencing little or no wind, the images it produced were of a much poorer quality than when the wind blew with more force. At first, this paradox baffled engineers, but they quickly donned their detective hats to figure out what exactly was going on. ESO’s Markus Kasper tells us how he worked as part of a team of experts to understand and solve this problem. Q. Other than being a telescope-detective, what is your role at ESO? A. My official title is “Adaptive Optics Scientist”, although "telescope-detective” sounds good as well! In reality, I sit at the meeting point between adaptive optics, instrumentation and astronomy. Adaptive optics is a relatively new astronomical technique where deformable mirrors on telescopes correct in real-time for the distortion of light caused by the turbulence in Earth's atmosphere. My role mostly involves work on instruments, especially for the Very Large Telescope (VLT), but I also dabble in astronomy, in particular in the fields of exoplanets and star formation. One of the four Unit Telescopes that make up the Very Large Telescope. The secondary mirror is visible in the upper centre of the telescope, supported by struts called “spiders”. Q. What was the problem you noticed when SPHERE was first switched on, and what were the clues that led you to understand this problem? A. We noticed that SPHERE’s adaptive optics system didn’t perform well on a significant fraction of nights, resulting in poor quality images. Clue one was the realisation that the nights it performed badly were nights that had especially low wind conditions. This was particularly annoying because such gentle conditions usually lead to the sharpest images, as the light is not blurred and distorted much on its way through the atmosphere. So on the nights where we should have been getting fantastic images, we were actually getting very poor ones. Many telescopes, including most of ESO’s telescopes, host a large secondary mirror supported by mechanical struts that are rather imaginatively called “spiders”. When the spiders are colder than the surrounding air, the air cools down when it comes into contact with them. The density of air increases as it cools, which means that its refractive index increases. This results in light becoming distorted as it moves through the cold air. Clue two was that the VLT’s secondary mirror was indeed supported by such a spider. It is only now, in retrospect, that we realise this effect is something that has severely hampered the performance of adaptive optics systems not only at Paranal Observatory, but around the world. A demonstration of how the Low Wind Effect (LWE) affects astronomical images. Q. Why is it called the “Low Wind Effect”? A. It seems a bit counter-intuitive but this effect occurs when the wind blows gently, because the lower the wind speed, the longer one bit of air is in contact with the spider. This means that more heat is transferred from the air to the spider, and so the air cools down more. When the wind is strong, air is quickly blown away from the spider, so doesn’t have much time to transfer heat. It’s the same when you touch a very cold object. If you have your hand on it for just a fraction of a second, you barely notice the cold because your skin has little time to transfer heat. But holding your hand there for several seconds becomes painfully cold because your skin loses so much heat to the object. 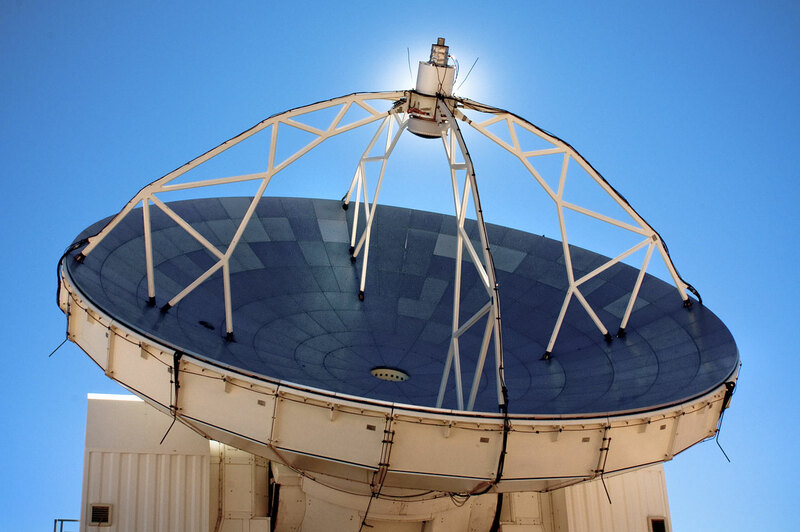 APEX helps astronomers observe the cold and distant Universe. APEX’s secondary mirror is visible at the top of this image, supported by a spider. Q. So you’d successfully figured out what the problem was. How did you then go about finding a solution? A. The main reason why the spider was colder than the air was because it was constantly emitting energy into the night sky. The same effect cools down things that are outside at night below the dew point, leading to morning dew. We figured that the Low Wind Effect wouldn’t be possible if the telescope spider was the same temperature as the air. So the solution was simply a matter of us carefully analysing how air is cooled down by a colder structure that it comes into contact with and then working out how to keep the temperature of the spider as close to the temperature of the air as possible. Sadly the solution wasn’t as simple as just wrapping the spider in a blanket. Instead, we considered several other strategies to reduce the problem, including actively heating the spider, correcting the resultant blurring, and attacking the root cause of the problem by preventing the spider from being able to emit energy. In the end, we went for this third option, which I suppose is actually somewhat similar to wrapping the spider in a blanket! The old spider surface very efficiently emitted radiation, so we decided to cover it with a new surface that doesn’t radiate efficiently. The solution involved finding a tape coated with a special material with the right properties and wrapping this tape around the spider arms. It sounds like a cliche but I would like to highlight that this solution really was a team effort! Three groups of researchers — one from the SPHERE consortium, one from Paranal and one from ESO HQ — worked together to understand the effect, and develop mitigation strategies. The fact that this fix to the world’s most advanced optical instrument involved something as simple as tape is of course a bit funny, but — again to sound a bit more professional — I should mention that this tape is really unique and is also used on spacecraft. One of the four spider arms with the top beam covered with the new tape and the bottom beam still uncovered. Q. And has the solution work as well as you’d hoped it would? A. The solution was very effective. Ever since we implemented it, we’ve rarely observed the Low Wind Effect, and when it has occurred during really exceptionally low wind speed conditions, the image degradation was not bad at all compared to how it was previously. This is very good news not only for SPHERE, but for all instruments on Paranal that make use of adaptive optics. The VLT is made up of four Unit Telescopes (UTs). The tape was first applied to the spider supporting the secondary mirror of UT3, home to SPHERE, and proved so effective that has now been applied to UT4, which hosts other adaptive optics instruments. Designers of the future Extremely Large Telescope also plan to use this method on parts of its structure. Looks like I need to go and invest in some more tape! 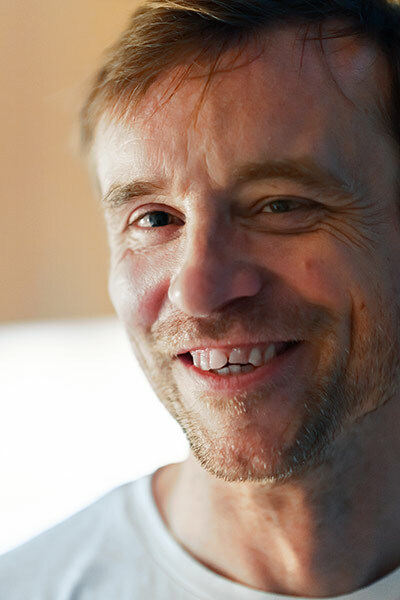 Markus Kasper studied physics at the Universities of Frankfurt am Main and Heidelberg. He worked on Adaptive Optics wavefront reconstruction and star formation during his PhD at the Max Planck Institute for Astronomy in the late 1990s. Since then, he has worked at ESO in Garching, Germany, as an engineer and scientist at the interface between AO instrumentation and astronomical science, specialising in high-contrast imaging and the observation of exoplanets. HighTech ESO lets you discover the technological achievements of ESO and industry that are driving new astronomy research. Find more blog posts about ESO’s cutting-edge research and technology here on the ESOblog.